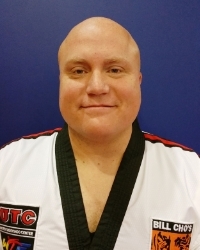 Grand Master Bill Byung Cho is Founder and President of the United States Martial Arts Taekwondo Federation, former President of the Illinois Taekwondo Association, and a licensed 7th Degree Black Belt Grand Master through the United States Taekwondo Union and World Taekwondo Federation headquartered in Seoul, Korea. In addition to his competition and training at the Olympic Training Center and multiple recipient of MVP & Tournament Champion at the Korean American Games, he has served as Coach at the World Cup Games in Vietnam & Tokyo (2001 & 2002), the 2007 Head of Team for all Korean-American Olympic Athletes, and has hosted the largest tournaments in the Midwest. Grand Master Cho has been a member of the Kukkiwon advisory committee and the World Taekwondo Federation advisory committee since 2009. Grand Master Cho is a leader, teacher, master, champion and mentor for more than 1,000 families and students. 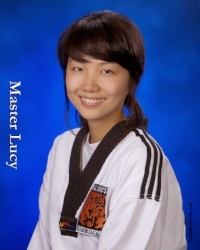 Grand Master Cho has been a mentor, leader and motivational speaker at numerous Taekwondo events. Our Masters & Instructors have spent many years devoted to training in the art of Taekwondo and other martial arts and have attained a certain level of expertise to qualify them as teachers and also mentors. Through extensive testing, certification and tournament level competition, our staff has attained mastery in this martial art and now enjoy sharing their skill and passing it on to their students.